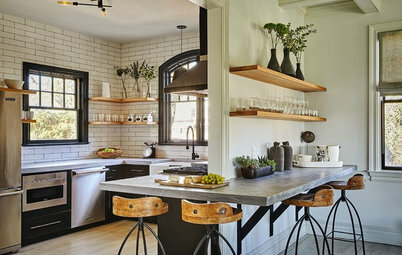 Houzz New Zealand Contributor. Journalist who lives in Auckland and specialises in writing about gardens, houses and design. Author of two books on garden design: Contemporary gardens of New Zealand and Big Ideas for Small Gardens both published by Penguin. I also design gardens and am a passionate gardener. Currently I write the garden pages for New Zealand magazine Your Home & Garden and contribute to NZ Gardener and NZ House & Garden magazines. 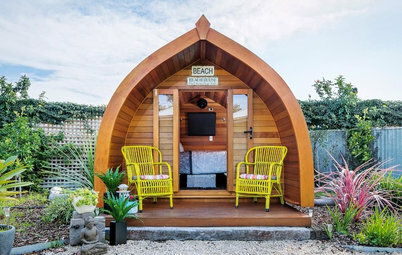 Many of us dream of living off the grid in a self-sustaining home, complete with chicken coops, a vegetable garden and thoughtful environmental features. It seems as though this would be possible only in the country, and when life demands that we be close to the city for work and play, it’s all too easy to put this dream on hold. 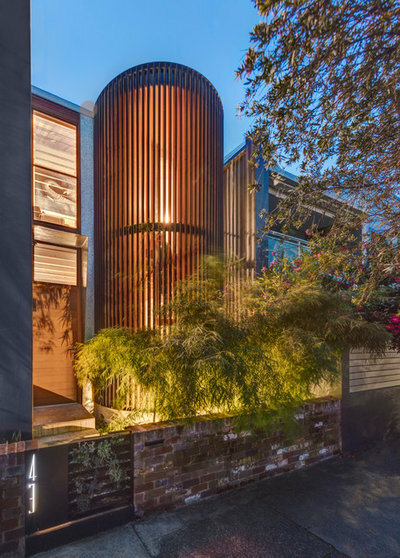 But this wasn’t the case for a couple who harnessed a more environmentally friendly way of life by reworking a four-bedroom home in Sydney. 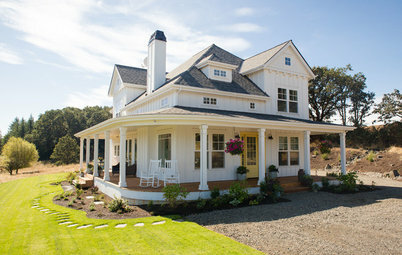 Their first step was to hire Clinton Cole to oversee their home’s transformation. It was a heaven-sent project for his firm, whose design ethos is based on sustainability. As Cole says, the clients, a “modern, environmentally conscious and socially responsible couple,” wanted more green space and an emphasis on good airflow and sustainability. 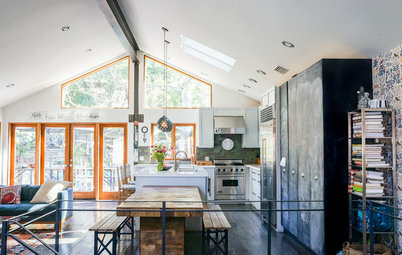 Among the many green initiatives in the house Cole designed are an evacuated-tube solar hot water system, an underground rainwater storage tank, and a 3-kilowatt photovoltaic power system to run the house and charge the couple’s electric car. 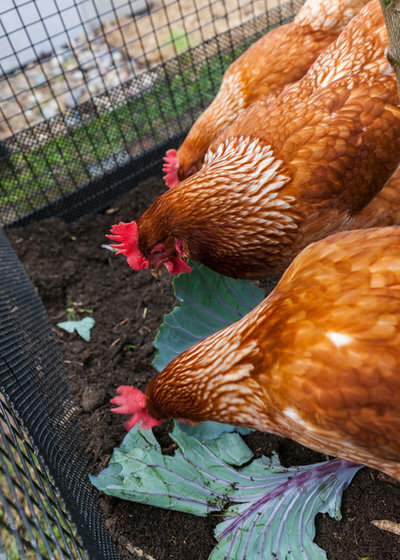 The garden has compost bins, a system for fish-waste harvesting, a worm farm and a chicken coop working in harmony with a productive vegetable garden. “Combined, these elements have meant that the house surpasses the clients’ desire for a sustainable home and is virtually off-grid for most of the year,” the architect says. The architects call this project, winner of a 2017 International Green Interior Award, their most sustainable to date. To improve the flexibility of the interior spaces, they located the stairs to the upper level behind the front facade of the house. 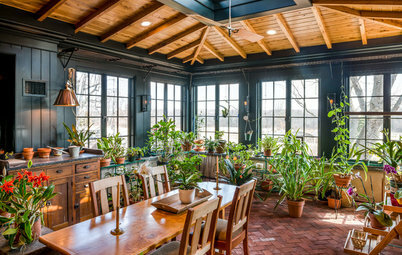 The circular glass-and-wood stairwell doubles as a greenhouse, with plants growing at its base. Himalayan bamboo softens the architecture and provides a graceful screen from the street. 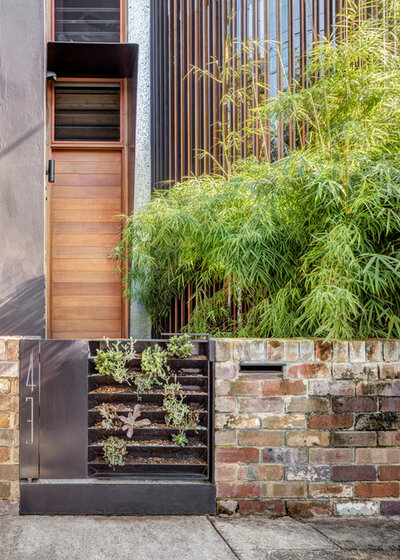 The front gate is cleverly designed to double as a vertical planter for drought-tolerant succulents. Greening every spare inch of space like this is a sustainable approach that is common in many densely populated European cities and is catching on in Australia and New Zealand. 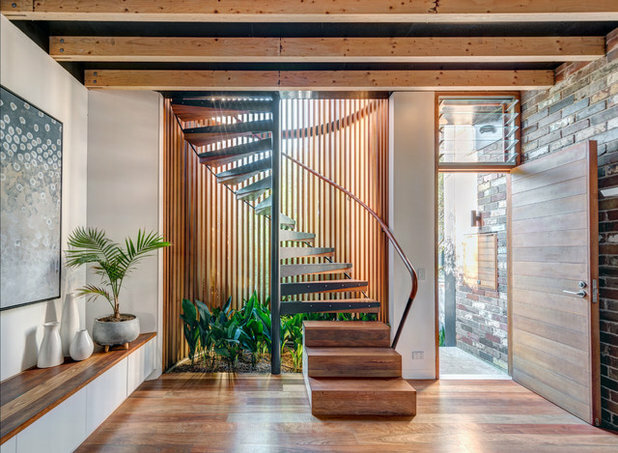 This view toward the staircase shows how its sculptural lines enhance the interior of the house. The owners say the garden under the stairs brings the outside in and adds a dramatic green element to the stunning form of the stairs. Planted around the base of the staircase is Aspidistra elatior, commonly called cast-iron plant for its ability to cope with dust, low light and minimal water. 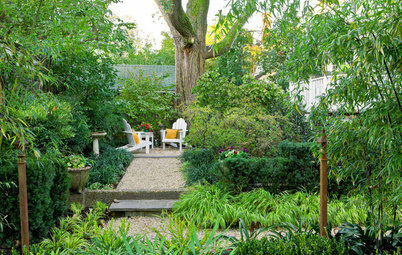 It can also be planted outside in warm, shaded locations. A courtyard in the center of the house allows light to penetrate inside and gives rooms access to green space. Lush green planting in the courtyard helps improve air quality. The owners say that since the stairs and the courtyard are two of the main architectural features of the home, it was especially important to get their landscaping right. 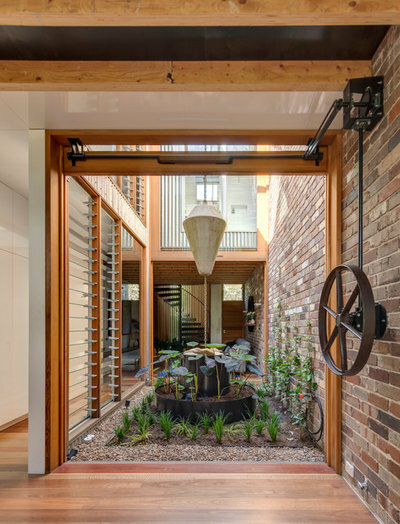 Besides providing light and air to every room in the house, the courtyard also collects water that flows from the roof, down a chain passing through the counterweight to the garden sculpture below, and into the underground water tank in the rear. 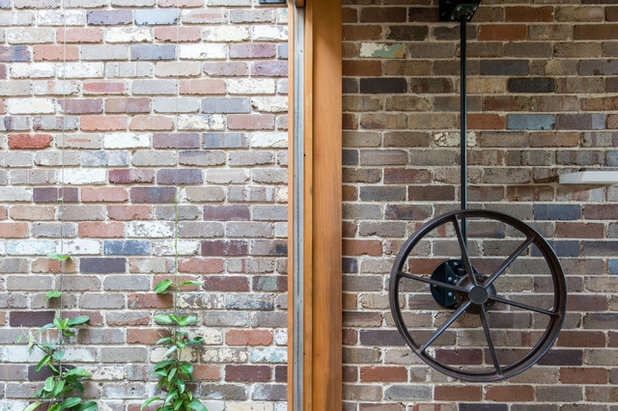 “The central courtyard is accessed through vertically hung doors operated via a rack-and-pinion crank wheel paired with a custom concrete counterweight,” Cole says. The wheel is an antique that came from a farm. The homeowners’ friends enjoy drinks around the mobile island. 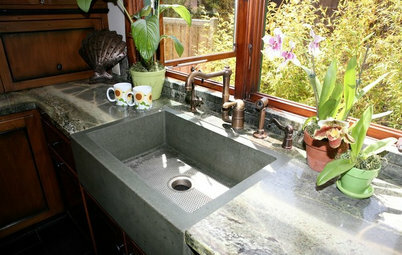 The kitchen, at the rear of the house, can open up to flow into the rear garden. 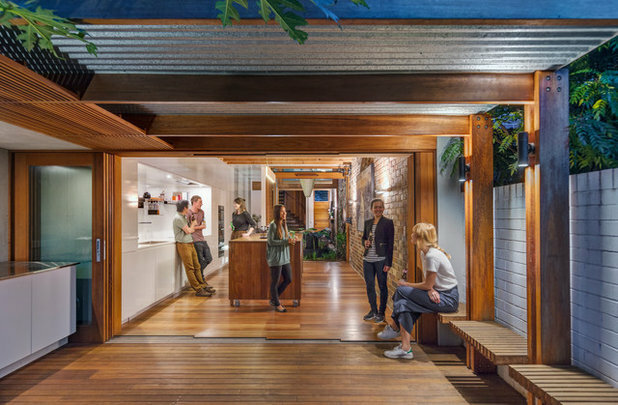 The custom movable island gives the couple plenty of flexibility in how they use the adjacent courtyard. Built-in bench seating along one wall takes up less space than conventional outdoor chairs. 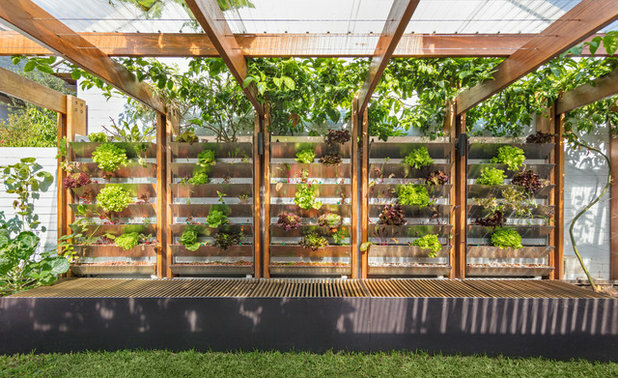 In the rear garden, outdoor seating doubles as an aquaponics system for fish-waste harvesting and fertilizing the vertical lettuce garden running along the wall behind it. The owners’ interest in permaculture — gardens that sustain both themselves and their caregivers — drove the design of the rear garden. 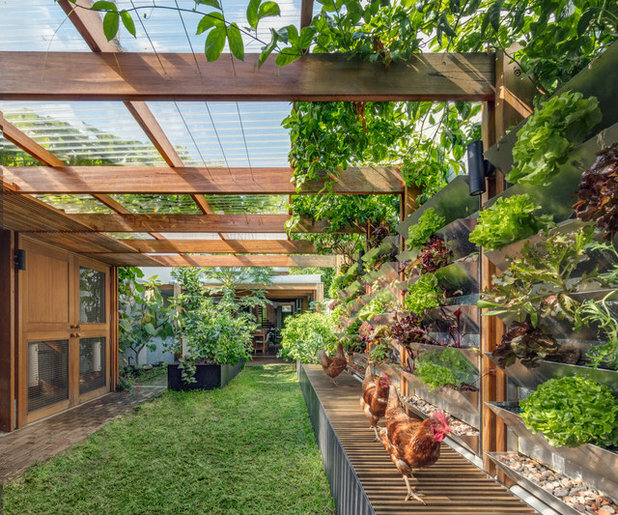 The owners say the garden acts as a social hub, drawing visitors subconsciously through the home and outside to sit among the plants and the chickens. They add that they enjoy the changing nature of a productive garden: Last summer, a papaya grew out of their compost, growing into a tree full of ripe fruit. 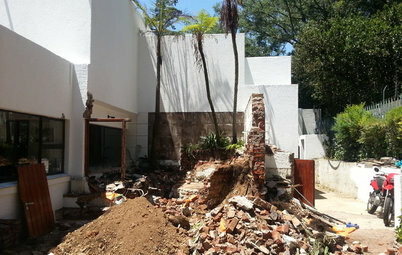 Permaculture practices, including reusing all waste on-site, are incorporated into the design. The owners say that just as the garden feeds them, they feed the chickens with scraps, which in turn gives them eggs and fertilizer. Likewise, they explain that the fish deposit nitrogen into the pond, which feeds the bacteria on the clay beads in the vertical garden, which in turn feed the plants, which filter the water in a continuous cycle. The chickens live in a coop on one side of the garden. It is integrated with on-site storage and a worm farm. Planter boxes for the fruit and vegetables incorporate a wicking system (a water reservoir below the beds) that reduces water use. Other beds are irrigated from rainwater stored underground, which also supplies the toilets and laundry. 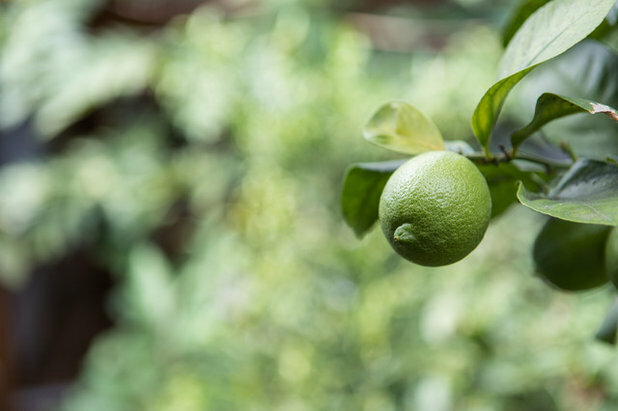 The gardens are so productive that the owners share excess produce with neighbors, friends and family. living in harmony with the environment that surrounds the house rather than oppose it is the way forward in furture building practices..gone are the days that we should only build to please ourselves, it should be the norm and not exception to build such sustainable homes. bravo to the team. Kerala too has a lot of sustainable practices but sadly got bypassed in the race to look better than the joneses. now the trend is reversing. I look forward to similar articles from Kerala as there are no article on Houzz yet. 4 Likes 23 April 2018 at 4:44a.m. I'm drooling. This home was thoroughly planned down to the last detail in such an amazing way. 5 Likes 23 April 2018 at 3:03p.m. That is a very beautiful green home! 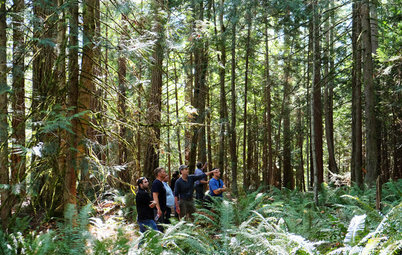 Close to the earth, trees, and nature! Absolutely full of life!